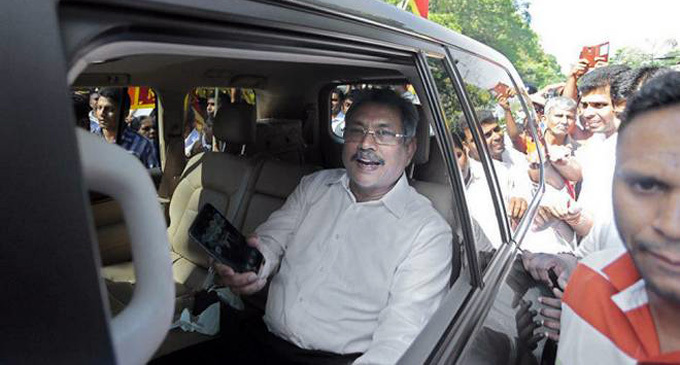 (FASTNEWS|COLOMBO) – Former Defense Secretary Gotabaya Rajapaksa arrived at the Permanent High Court-at-Bar this morning (22) for the case pertaining to the construction of the D.A. Rajapaksa museum. The case filed against Rajapaksa and seven others by the Attorney General’s Department, over the alleged misappropriation of Rs. 49 million to build the D. A. Rajapaksa Memorial Museum in Medamulana.